The penultimate post in our Naoko Yamada series consists of another translation by megax, featuring various KyoAni staff members mostly talking about amusing anecdotes during her productions. Some fascinating insight as well! This is a translation of a transcription posted by Sekai of the stage greeting following Movix Kyoto’s screening of a selection of Tamako Market episodes. As it was from notes/memory, there may be some inaccuracies in the phrasing/wording of the answers, but the general theme is correct. Sezaki: It’s been a while since we’ve had a Tamako Market talk show. How is everyone feeling right now? Yamada: Being able to see Tamako Market on a big screen was amazing! I’m a bit scared, but I’ll ask anyways. Did you all enjoy it? How many of you saw Tamako Market for the first time today? Yamada: Are you a Free! fan? Did you come just to see Nishiya-san? (laughs) This theatre (Movix Kyoto’s theatre 11) has a screen about the same size as Studio Alta’s outdoor screen, so I think you were able to see and listen quite nicely for your first time. Next is Ogawa-san. Ogawa: It might hurt my pride, but how many came to see me? Ogawa: Thank you very much for coming. Nishiya: I’ll restrain myself for now. Yamada: Is it okay if we don’t ask for Nishiya-san as well? Nishiya: One person already raised their hand for me, so yes. 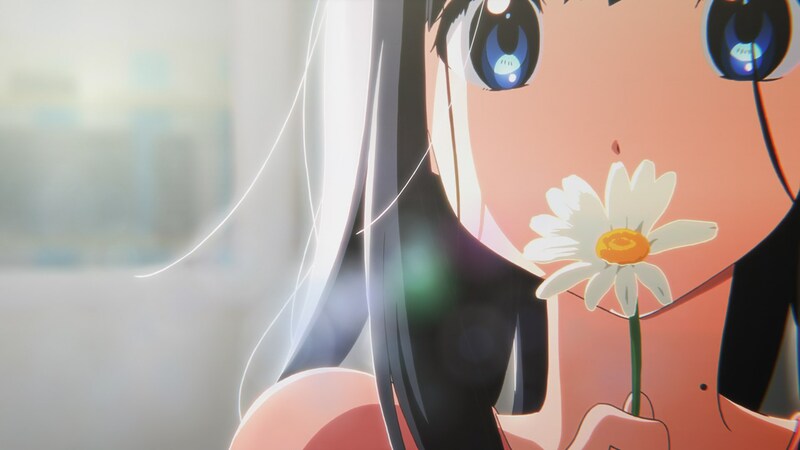 Sezaki: Returning back to Tamako Market, did everyone feel warm and fuzzy in the theatre? Then how about we return back to the beginning, back to the story of how it was planned? Maybe we could go all the way back to its genesis? Yamada: After the first season of K-On!, Horiguchi-san and I were brought before an important person. I remember being as nervous as if some unknown cup of coffee was placed in front of me. Sezaki: After the first season of K-On! would be around 2009 to 2010, right? Ogawa: Had you finished making K-On! yet? Yamada: Was it before then? Wait, did you work on K-On!, Ogawa-san? Ogawa: I helped make it. Yamada: Oh, okay. You’re my junior, so I wasn’t sure. 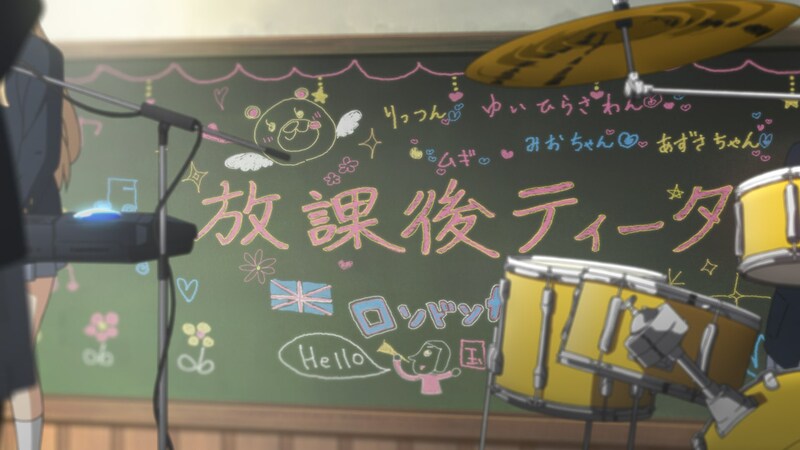 You were the one who drew the key animation of Yui during the performance of U&I for K-On! The Movie!. I heard you had received some help from Nishiya-san, but I know those were difficult cuts I requested of you. (laughs) Like Ricchan’s drums or when the teacher was pulled into the classroom. Sezaki: So the prince was out in the open. How did you think about the southern island component? Yamada: I thought about something like a Roman Holiday type adventure with Tamako and the Prince along with Ishihara-san and Horiguchi-san. I had aimed on a work where people could say “Good Morning!” to each other. Sezaki: So the shopping street was the stage from the beginning. (to Nishiya-san and Ogawa-san) When did you hear about Tamako Market? Ogawa: I heard about it when I was drawing storyboards for Chuunibyou demo Koi ga Shitai!. Or was it Hyouka? Yamada: Ogawa-san drew the storyboards for and directed episodes 3 and 10. They’re character episodes. Ogawa: They were the fourth and fifth storyboards I drew. Sezaki: When you were directing for Tamako Market, what did you focus on and what did you struggle with? Ogawa: There were some things that I wasn’t accustomed to at that time. I was likely to overdo the number of cuts, so I had difficulty restraining myself in that section. The storyboards I did at first had an amazing amount of cuts…. Sezaki: Of the five episodes shown today, Nishiya-san served as animation director on episode 2. Nishiya: I really wanted to work on the shopping street production Yamada-san made. When I talk with Ishidate-san, he says things like “there’s not enough ‘sowaka’ in this.” You used it in production of A Silent Voice Yamada-san. Sezaki: How did you choose today’s selection of episodes 1, 2, 9, 11, and 12? Yamada: At first I chose episodes that had a Love Story feeling to them, but when I was told I could choose 5, I chose them based off of Market feeling. It’s a tale of Tamako meeting Dera-chan and their parting. Sezaki: So if you only had 4, you would’ve chosen the Love Story episodes 1, 2, 5, and 9. Yamada: Market is really nice to watch when you’re eating dinner and drinking beer. Sezaki: Has Nishiya-san seen all the episodes? Sezaki: Then we’ve moved from Tamako Market into questions I’d like to ask about Tamako Love Story. It’s written on the script…. Nishiya: I was on Free! during that time. Sezaki: Have you seen Tamako Love Story, Nishiya-san? Nishiya: It was really good. I recently bought the home release. Sezaki: Have you thought about any stories about after Tamako Love Story? Yamada: I’m always daydreaming about those. Where will Midori go to university? Specifically where? Will Kanna go to be an architect at an arts university? I think about that a lot. Tamako would go on a trip to Tokyo (to visit Mochizou) but Mochizou has become more stylish since he came to Tokyo, and she hasn’t changed at all, so she feels very embarrassed but that’s what he loves about her. Sezaki: The scope of your daydreams is quite large. Ogawa: And what about the Mugi-chan story? Yamada: Tamako is tending the store when she sees these thick eyebrows. Mugi-chan is peeking into Tamaya. Mugi-chan has always eaten cakes or Western confections, so she wanted to try a traditional Japanese treat. She buys one and thinks it’s delicious when she eats it. The next day she brings all 5 (of HTT) along. Sezaki: That’s a precious story. Sezaki: All three people here today were on the main staff for A Silent Voice. How has production ended there? Nishiya: I’m filled with emotion. It really feels like I’ve accomplished something. Ogawa: I had to study a lot of things. In sign language, the meaning changes if you’re slightly off. Sezaki: Anything else you’d point out? Ogawa: Maria (Shoya’s niece) is very cute. Nishiya: It took a lot of time for me to grasp Shoya. It took a lot of time for me to draw this picture (the key visual). Yamada: Shouko, who’s facing forward in the key visual, isn’t an angel; she’s a human being. There’s a lot of dynamic points with her. We at KyoAni were nervous starting off with a movie with no TV series attached to it. As we followed along the manga, there were a lot of difficult points for us. The work that KyoAni and Do have done is simply amazing. Sezaki: Advance tickets are on sale at this theatre. If you’d like, please buy one. Finally, each of you please give a message to the crowd. Ogawa: I’m immensely happy to come in front of a lot of people to talk about Tamako. Thank you very much for coming. Nishiya: It makes me happy to continually receive the love for this work no matter how long it’s been. Thank you very much. A Silent Voice is another work the studio’s done its best with, so please come see it. Yamada: I’m very happy to be able to see Tamako again. Tamako is a very important work to me. Thank you all for coming. This is the first time I’ve seen Ogawa participate in one of these stage events. People like Yamamura participated in some events as well. There were a ton of fan meetings right before/after Koe so multiple staff members got to show up. Yamada, the Koe cast, the composer kensuke ushio, Nishiya, Ogawa and Yamamura are the ones I recall. In the KyoAni and Do Fan Days 2015 event, there was one panel that had Noriyuki Kitanohara, Kazumi Ikeda, Takuya Yamamura, Kana Miyata, Mikiko Watanabe and Ryuta Nakagami participating. It’s the first time I’ve translated one with him in it. He was in one for Tamako Love Story but I had already translated so much about that film that it felt like there was nothing else in this season but Tamako. At least this had a bit of Koe in it as well as K-On! Ogawa is such a great young talent.